OX Construction Products is one of the world leaders when it comes to professional tools, machinery and diamond tools for the construction industry. We are a modern, dynamic and forward thinking company with a strong focus on leadership and sustainable business growth. 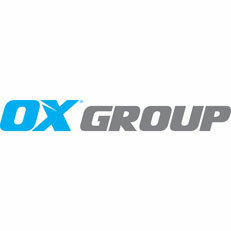 OX provides users all over the world with the most efficient and reliable equipment there is. Using American, German and other European technology, we are known for our innovation and toughness and our products are built up to a standard - not down to a price. The common denominator is that everything should be easy to use. We ensure that our professional users will be proud of a job well done the first time. And proud professionals are our best reward.